Sometimes you need to login into your computer via internet to get some files and folders. But it is somewhat difficult task. 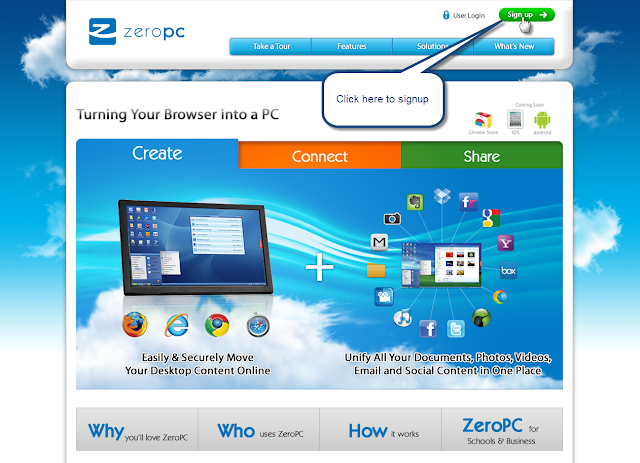 However, there is a website called ZeroPC offers online Desktop of a computer. 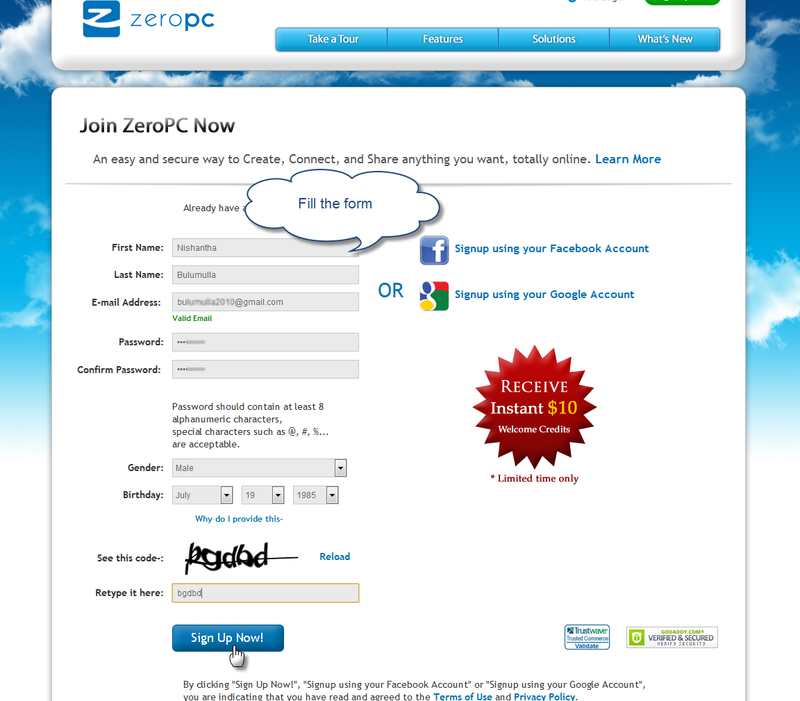 You need to sign up for this service and then it allows you to login to this online computer. It contains many applications like our normal computer such as TextEditor, Video player, Audio player, Thinkfree office, File uploader and Messenger. After creating a account, it can be accessed from anywhere from the world so you can directly copy files from your actual PC to this online computer and after use it from anywhere. Go to the ZeroPC website and Register for an account. It will send activation Email to your email inbox so activate your account using the Email which contains activation link. Login using Email address and password that you provided. As you can see in the below image, there are many features available in this PC so you can do many daily tasks.